Made from 100% organically grown naturally coloured cotton, this Wrap Dress & Long Sleeve Bodysuit is the cutest little outfit for a baby girl. 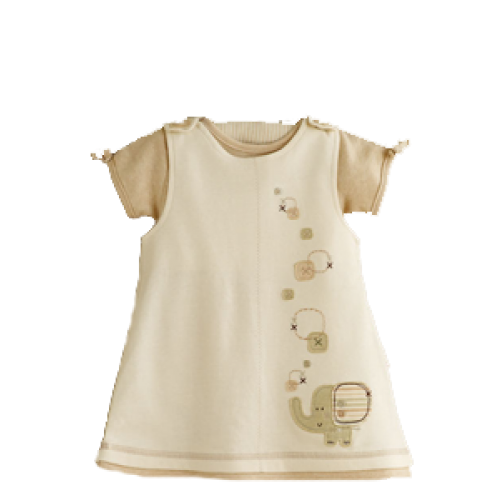 The long sleeved bodysuit features our printed grey elephant & burnt orange heart, whilst the dress has an embroidered & appliqued elephant design. Co-ordinate with our grey & cream striped tights on cooler days. 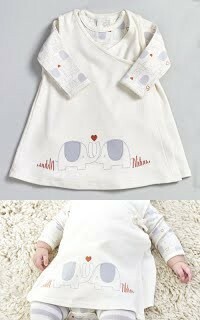 Presented on a printed card hanger with elephant gift tag.